Head-Officer: 210 Dien Bien Phu St, Dist.3, Ho Chi Minh City. Ticket – counterdaily: Dong Kinh Nghia Thuc Square, Hoan Kiem Lake, Ha Noi Capital. 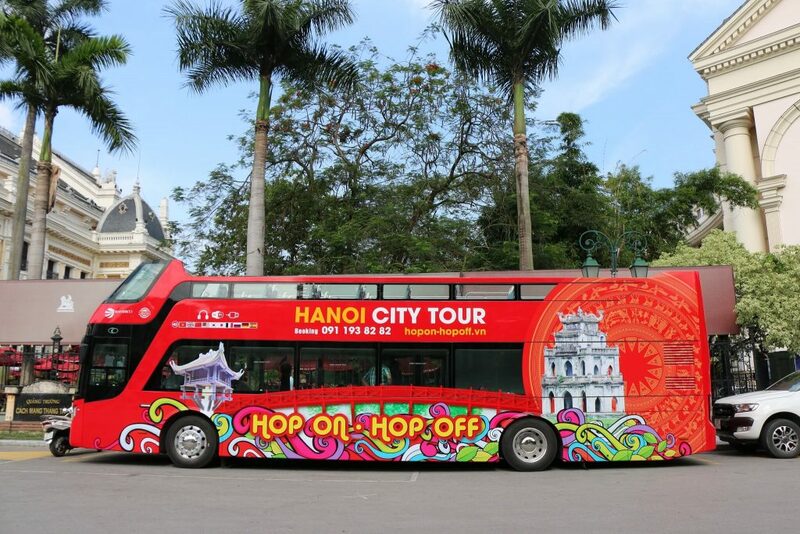 Hanoi City tour Hop on – Hop off is a flexible and convenient tour which combines transportation and sightseeing many visitor highlights of Hanoi Capital by double-decker buses.You can get on and off the bus at any bus stop during daily the trip. Stay as long as you want at each sightseeing stop, then catch any of the Hop-On Hop-Off buses making the loop when you are ready to go. 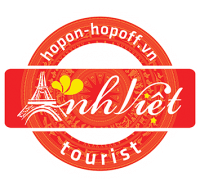 Hanoi City tour Hop on – Hop off has 13 stops going through more than 20 famous attractions, allowing travelers to explore and experience the city in their own way. Ticket is valid for 4/24/48 hours. Booking online 24/7, check-in via e-ticket. Refund 100% money back before 72 hours booking done. Before 24h00 flexible change date departures.